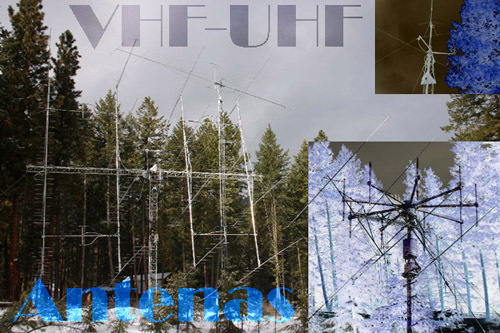 This page contains all resources about VHF and UHF antennas available in EA4FSI-28T1 web site. You will find mainly analysis of most frequent used antennas in emergency communications, performed with shareware programs such as MMANA-GAL and 4NEC2. Information about homebrew antennas and field tests is also available. Please take into account that all the material in this page is experimental and may contain errors. Press over each antenna's pictures to access a page with a detailed analysis. If you want to submit comments or suggestions, please use this form. Esta página también está disponible en Español (this page is also available in Spanish). MMANA-GAL simulation of a 1/4 wavelenght monopole designed for a central frequency of 146 MHz. The following results are shown: standing wave ratio, radiation pattern and antenna input impedance. 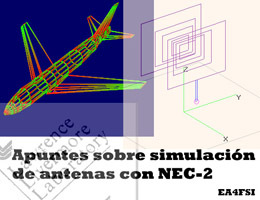 Notes and recommendations about antenna simulations using software based on the NEC-2 algorithm, developed by the Lawrence Livermore National Laboratory. The recommendations and rules of design have been compiled both from the manuals of some programs and from technical articles about antenna simulation. Article published in the Spanish Amateur Radio Union Magazine (URE). December 2012. (c) 2008-2019 - Ismael Pellejero Ibáñez - EA4FSI - 28T1 || Contact form || Site map || Page last updated: 13/01/2013.